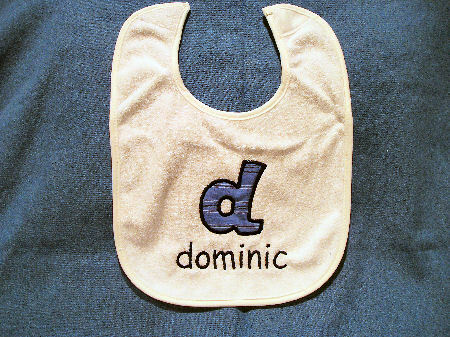 You Name It offers custom made bibs in chenille or denim fabrics. 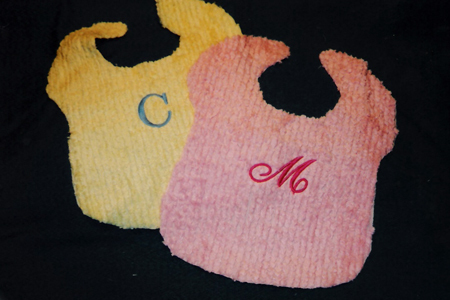 Chenille bibs are approximately 9" x12" and are available in pink, white or blue. 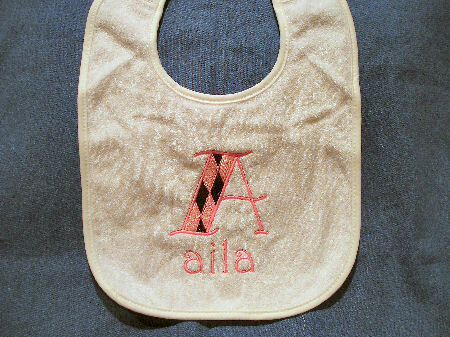 The prince includes one monogram name. 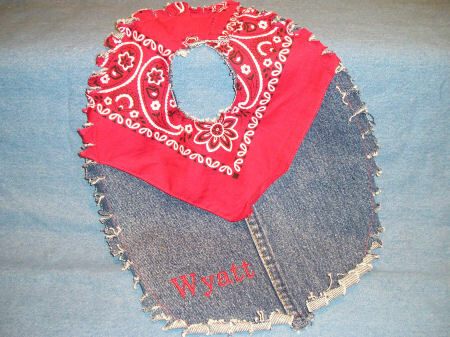 Denim Bibs are available in a variety of bandanna colors. Select your color based on your college alma matter or other color preferences. 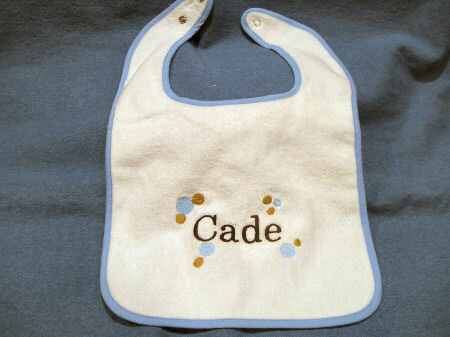 The price includes either a single monogram name or appliqué style initials. The new white terry cloth bibs are a great buy. 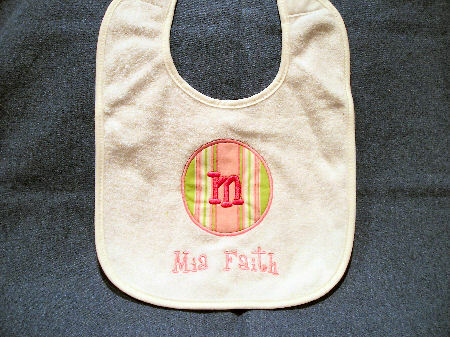 Any design can be monogrammed on the bib. 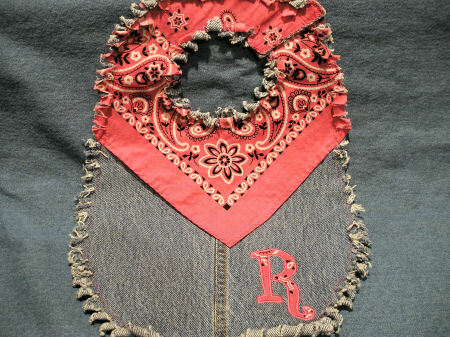 It makes the bib more fun to have a name and custom design! They are 9 x 12 and super absorbent. 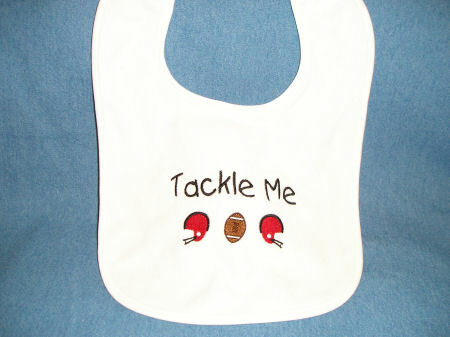 These new terry cloth bibs are great! 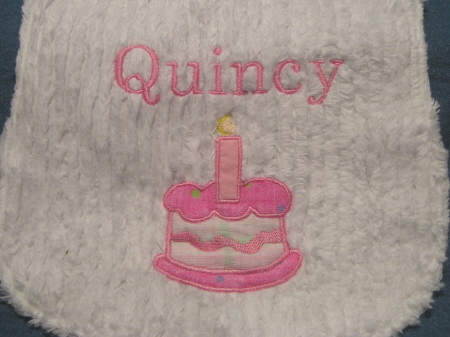 We can monogram any design on them. They are thick and thirsty with a velcro closure. 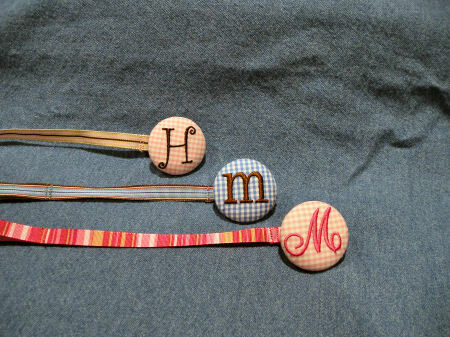 Never lose a pacifier again with these cute custom pacifier clips. A variety of styles and colors are available.